Woman Ejected From Vehicle In Two-Vehicle Crash In Vero Beach | Schuler, Halvorson, Weisser, Zoeller & Overbeck P.A. A woman was thrown from a vehicle at the intersection of 27th Avenue SW and 15th Street SW, authorities say. 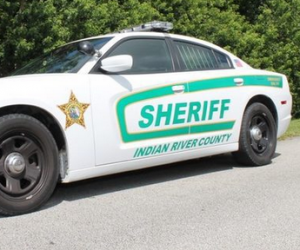 According to the Indian River County Sheriff Department, a rescue crew responded to a crash at the intersection of 27th Avenue SW and 15th Street SW in Vero Beach. According to an eyewitness report, a woman was thrown from her vehicle after a collision with a speeding vehicle traveling west on 27th Avenue SW. According to the crash report, the other driver was traveling in a white Volkswagen sedan. No other information has been given. First emergency responders arrived shortly after the crash. When officials of the Indian River County Sheriff arrived on the scene, they found a woman in her twenties who had been killed. The body was found on the right shoulder. The victim has not been identified. The westbound lanes of 27th Avenue SW were closed near 15th Street SW for about seven hours, but have since reopened. Investigations are still ongoing to ascertain the cause of the crash and if any of the drivers was driving under influence. Drivers are advised to use alternative routes until the accident scene has been cleaned and cleared.